Doctors and medical experts all around the world strongly oppose the habit of smoking as it has been found to be a serious threat to human health. Researches in the medical field have proved that several hostile diseases such as stenosis, strokes, cancer and malfunctioning of the cardiovascular system are also caused due to the bad habit of smoking. High blood pressure is also a result of excessive smoking. 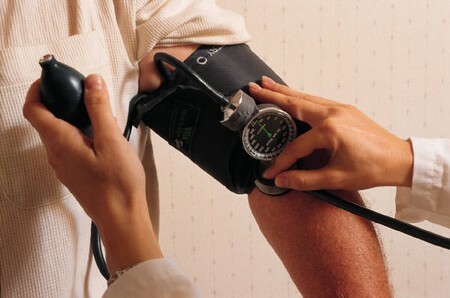 High blood pressure is a general term used to explain the medical term hypertension. Blood pressure and heart beat are simultaneously increased by smoking thus resulting in different heart diseases and strokes. Sum of the reasons that show high blood pressure is caused due to smoking are detailed below. Blood Vessels: Tobacco which is the major component of a cigarette is made up of nicotine and several other poisonous chemicals. When a person smokes a cigarette these harmful chemicals enter the blood stream due to which the arteries and veins are narrowed and weakened thus limiting the flow of blood through them as a result of which in order to pump blood the heart has to use more pressure then it usually and normally does and this eventually results in strokes and paralysis in some cases. The rise in blood pressure is directly proportional to the pressure the heart applies. In medical term the narrowing and weakening of veins and arteries is known as atherosclerosis. Affected Blood: With the passage of time there is an adverse affect on the blood of the smokers. Basically due to nicotine in cigarettes the level of cholesterol and fibrinogen is increased. Cholesterol is a constituent of cell membranes and is essential for the formation of bile acid and some hormones and fibrinogen is a protein found in blood that converts to fibrin when blood clots. Heart attacks are caused when the blood clots in the heart. Oxygen Deficit: We need oxygen to survive; the level of oxygen in body is decreased due to smoking. In order to cover this deficiency of oxygen the heart has to do double the work it usually does. The cardiovascular system is affected when the heart is over worked and there is a noticeable rise in the blood pressure. Plaque: another major adverse affect of smoking on human health is that the arteries are blocked when plaque is build up in the blood vessels and restricts the flow of blood. Swelling, pain and redness of blood vessels occur when the inner lining of the blood vessels is affected due to nicotine. This inflammation of vessels and plaque causes high blood pressure. Initially when a person cultivates the habit of smoking his body shows a resistance to the harmful foreign objects for instance a beginner coughs and feels pain and burning in throat and lungs after smoking. With the passage of time these mild after effects turn into complicated diseases such as high blood pressure, throat and lung cancer, kidney failure etc.